The response comes after forty people were recently robbed on the Corcovado trail, twenty of them tourists; while in October a Ukranian tourist was stabbed during a robbery on the famous ‘Escada Selarón’ (Selarón staircase) in Lapa. RIO DE JANEIRO, BRAZIL – On Tuesday, January 15th, a major operation was undertaken by Rio’s security forces with the goal of bringing greater security to the many foreign and domestic tourists visiting the Cidade Maravilhosa. 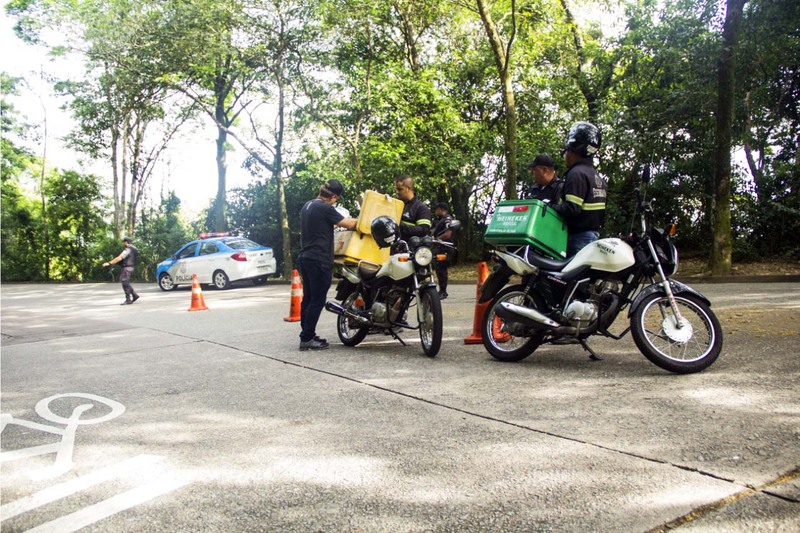 The first day of the operation focused on the Corcovado trail, where forty people, twenty of them tourists, were recently robbed at gunpoint, photo courtesy of Prefeitura do Rio de Janeiro. Several agencies including both the military police, civil police, and tourist police (Deat) are participating in an integrated mission to increase security around six major tourist sites: the beachfront of Copacabana, Lapa and the ‘Escada Selarón’ (Selarón staircase), Corcovado, the Rodoviária bus terminal, and the airports of Santos Dumont and Galeão. The operation has been requested by newly elected hard-right governor Wilson Witzel, who recently reiterated his controversial ‘shot to kill’ policy for combating Rio’s armed drug traffickers. “Tourism and security go together in every corner of the world.” comments Secretary of Tourism, Otávio Leite. The first day of the operation focused on the Corcovado trail, where forty people, twenty of them tourists, were recently robbed at gunpoint. They spent almost two hours being held hostage by three men armed with a pistol and two knives and had their cameras, wallets and cell phones stolen. The main trails of the Tijuca National Park also received reinforced policing. And the security operation is soon to be expanded to the above-mentioned tourist spots. The operation is scheduled to last until February 3rd.